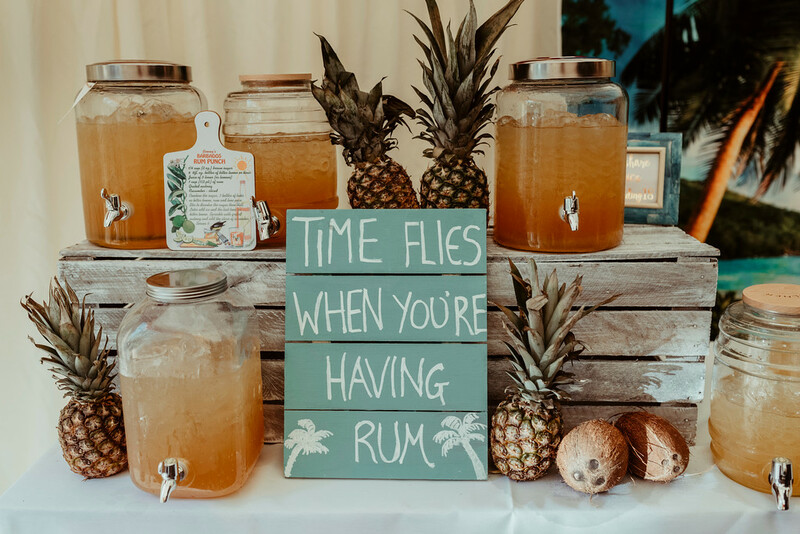 Jenny and Charlie’s tropical Caribbean themed wedding was so much fun! With the beautiful weather, incredible flowers and lots of rum punch it’s like we really were filming in the Caribbean. 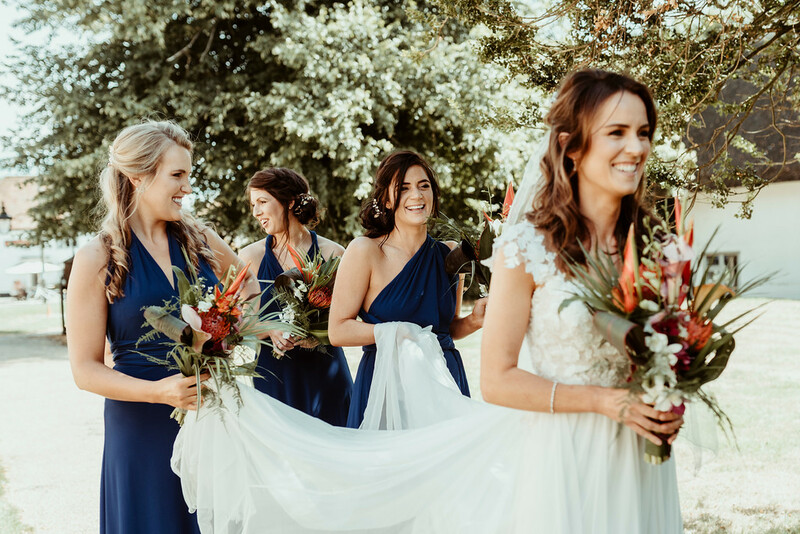 Jenny and Charlie chose the theme not just because it’s fun and unusual but because Jenny’s family are from there so she wanted to tie her heritage into the wedding day. Thank you so much for having us Jenny and Charlie! 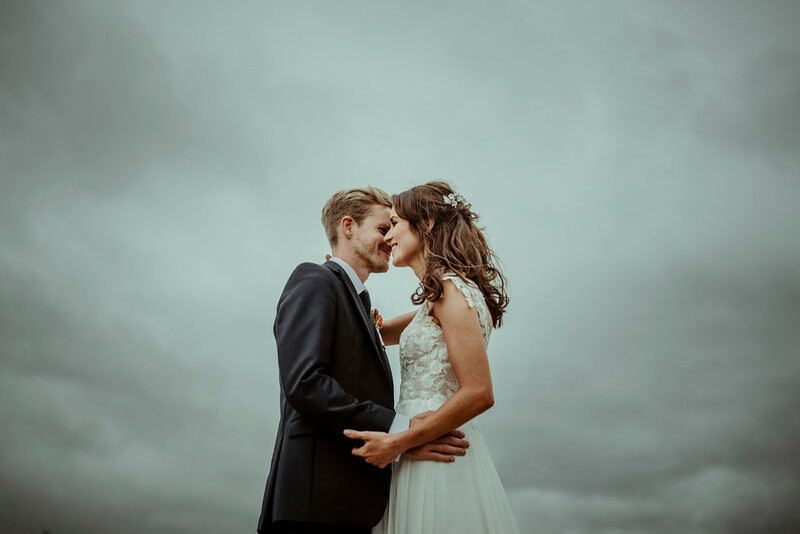 We were very excited when Jenny and Charlie said they were both getting ready in cottages at Clopton Courtyard near Royston. Filming both preparations usually requires an additional videographer but when they are both at the same place it means one videographer can film both. We love this part of the day because it’s the time you spend apart on the day. 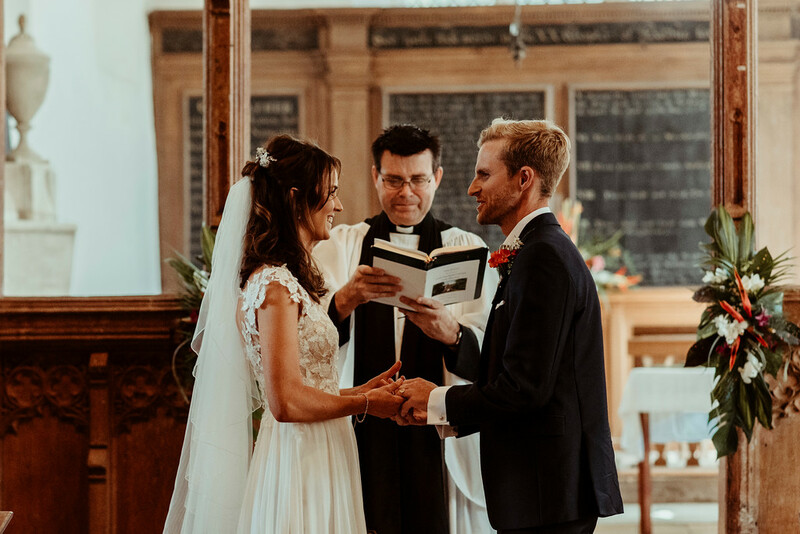 Having it filmed means you can see how each other were feeling on the day and share those special moments. It was lovely meeting Jess from Jess Soper Photography. Her natural style and calm nature really suited our style and it was a joy to work with her. The stunning images speak for themselves! Charlie remained very calm whilst waiting for Jenny to arrive and the joy on their faces throughout the ceremony was wonderful to capture. During the signing of the registers Jenny’s cousin Thomas sang Ave Maria – a special request from their Grandma who sadly couldn’t attend the day itself. It was beautiful and Jenny tells me it was wonderful watching the ceremony and the song back with her Grandma after the day. 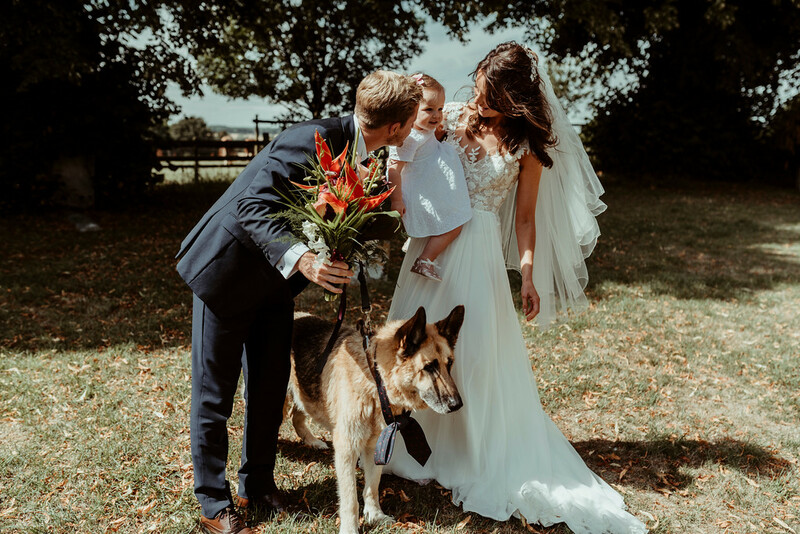 After the ceremony the new Mr and Mrs exited the church to the beautiful smile of their daughter and happy tail wag of their dog. We love natural, happy moments like this which their daughter will be able to watch back when she’s grown up and they will treasure forever. 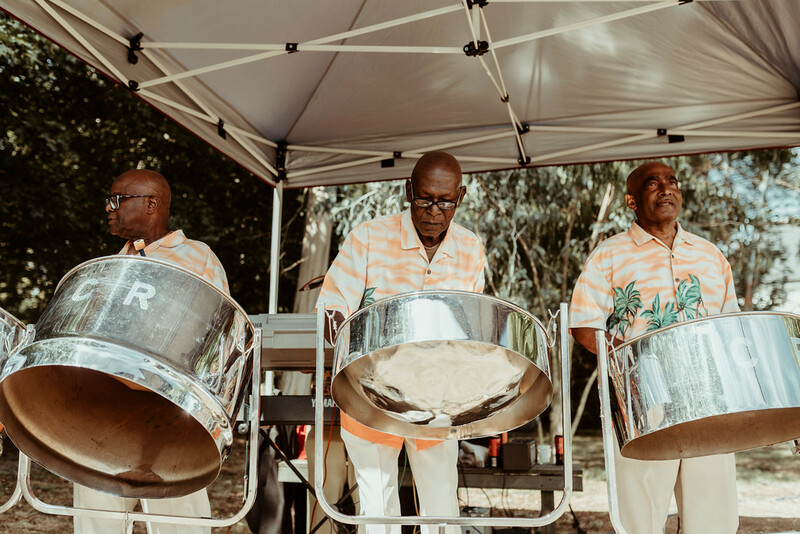 The happy family and their guests were welcomed by the incredible steel band and lots of rum punch, Caribbean style! After lots of fun photos and delicious food there were some brilliant speeches. We learnt that Jenny and Charlie met at Loughborough University and were freshers the same year as we were! 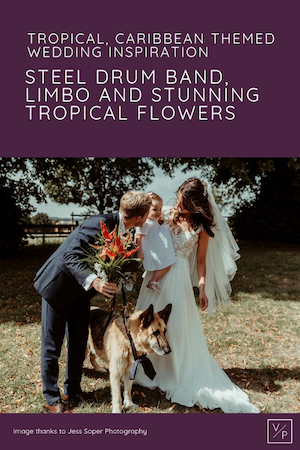 The evening was just as much fun as the afternoon with gorgeous couples photos, a brilliant first dance to Mumford and Sons and all the guests joining in with the limbo! Absolutely hilarious! 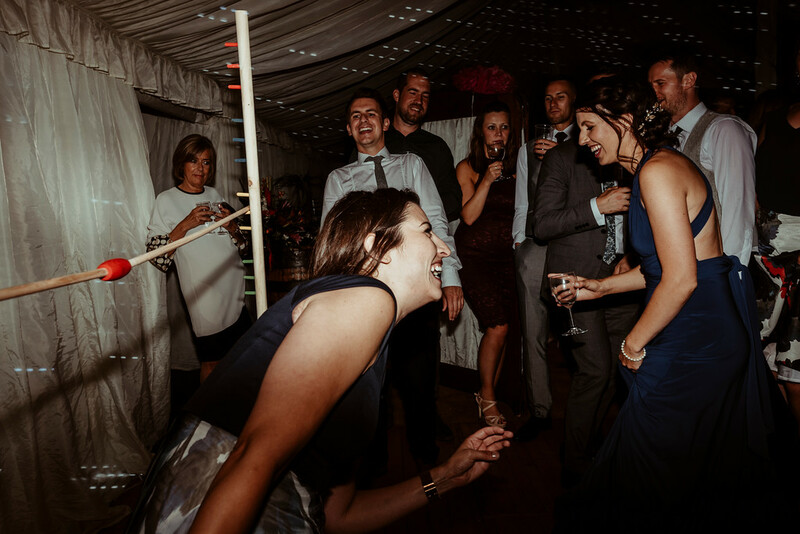 What’s great is that the bride and groom weren’t on the dance floor for all of the limbo, chatting to guests or in the photo-booth, so watching the video back they can experience all the fun still. Thank you so much for having us Jenny and Charlie. Wishing you a wonderful life together and happy memories of this wonderful day. 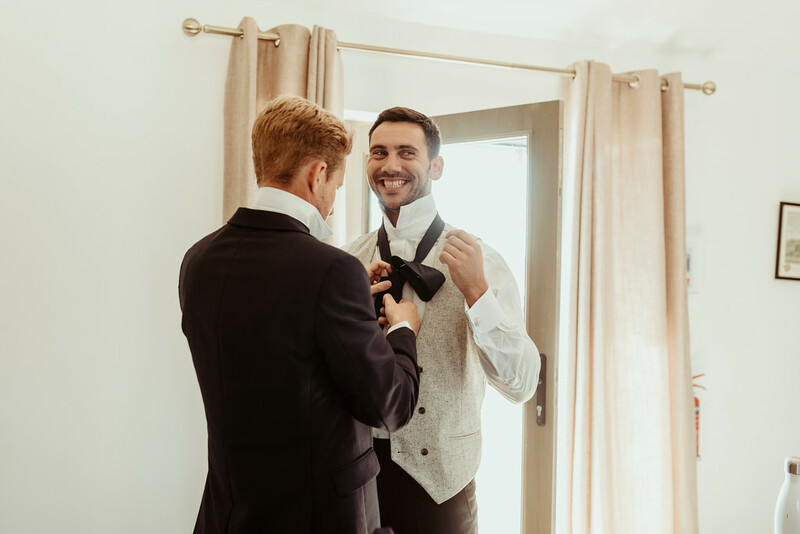 Planning a unique wedding and would love to capture all the memories? Contact us below! 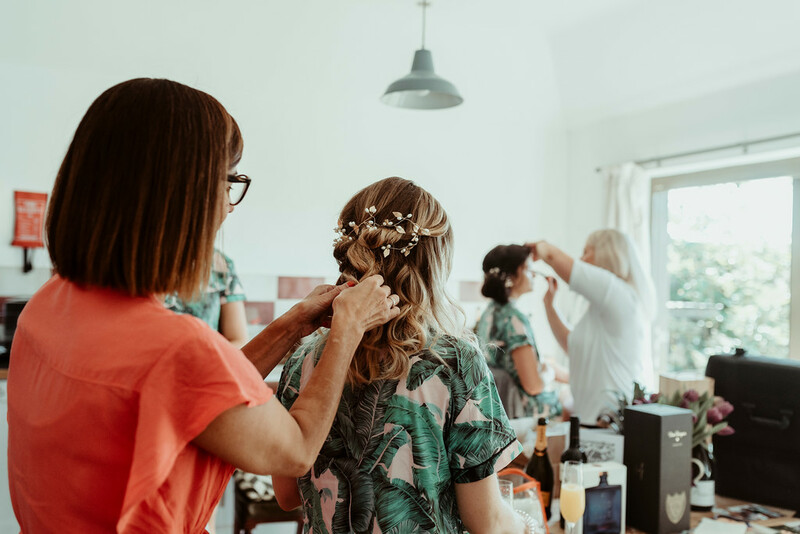 Previous Post Wedding day traditions: where do they come from?